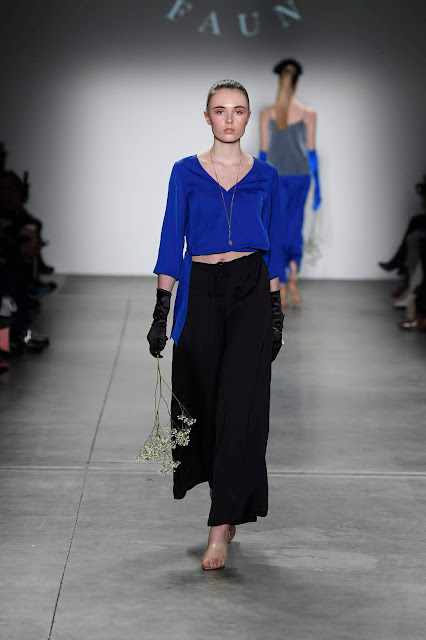 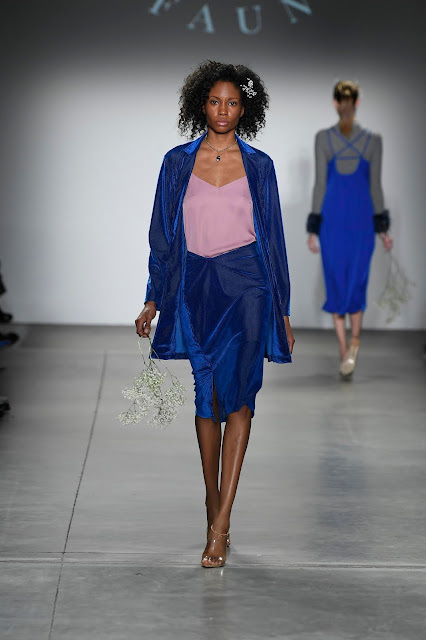 First up, Canadian brand FAUN by Marisa P. Clark, brought a collection of elegance and subtlety to the runway, as an ode to the timeless, sophistication of New York City Style, referencing icons Audrey Hepburn and Blair Waldorf. 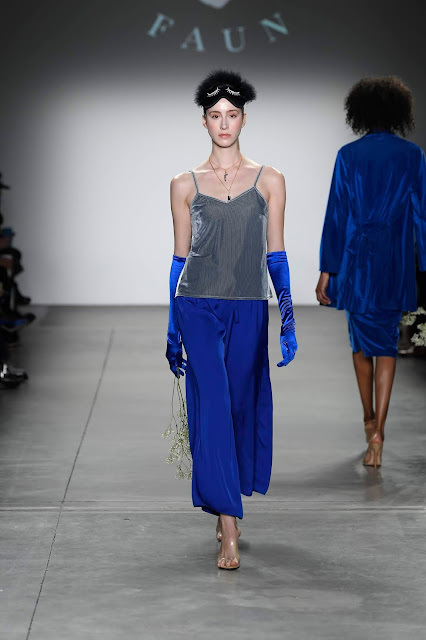 Rich jewel-toned fabrics, with elegant necklines and fluttering hems, effortlessly complemented intricately handcrafted pieces, such as pearl bralettes and opera glasses. 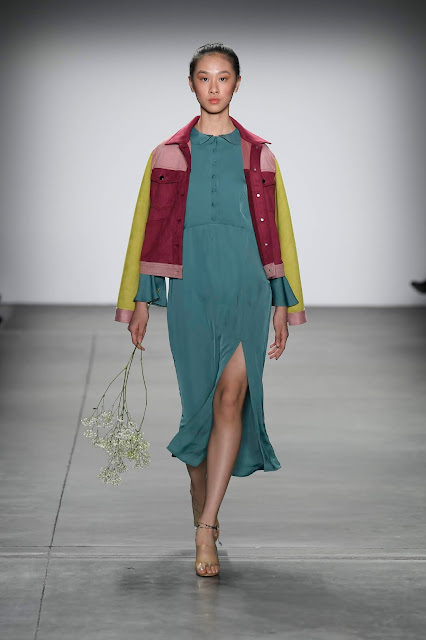 A highlight piece- a color blocked suede jacket in pink with yellow contrast. 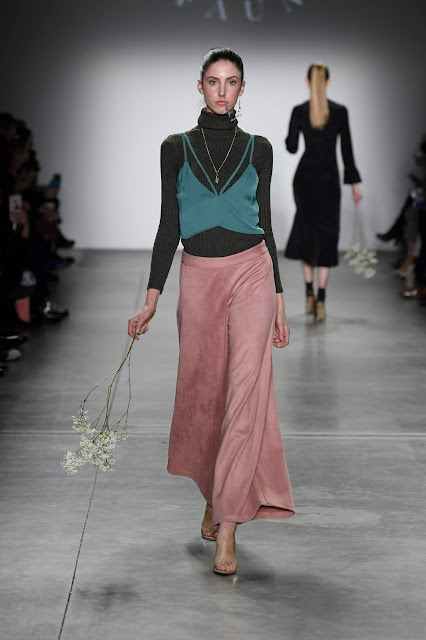 Models carrying bunches of Baby’s Breath flowers stayed true to FAUN’s signature whimsical, feminine style.